In recent months, companies like Amazon and FedEx have been experimenting with the concept of using drones to perform delivery services. However, most drones still suffer from mobility and load capacity issues, which has limited their use in the field. This is the problem that researchers in Stanford University sought to address, and their solution comes in the form of the FlyCroTug. The FlyCroTug is a small flying robot that is capable of pushing and pulling objects 40 times heavier than itself. This incredible feat is accomplished through the use of gripping technology inspired by the adhesives found in the feet of geckos, which allow these animals to "stick" themselves onto various surfaces. Using these nature-inspired grippers, the FlyCroTug can perform a wider range of functions than the average flying drone, from opening door knobs to carrying rescue equipment. As such, the team behind FlyCroTug's development envisions many of these drones being used in construction, search and rescue, and many other fields. 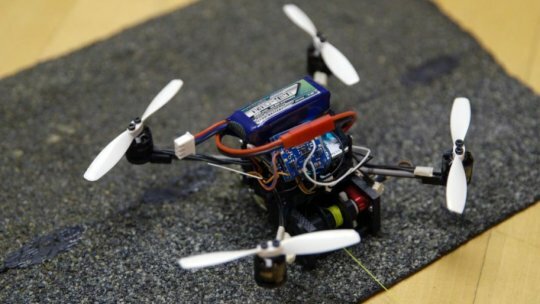 Currently, the Stanford research team that developed FlyCroTug are working on autonomous control, as well as the simultaneous control of multiple drones. While the integration of drones in our everyday lives is still a thing of the future, FlyCroTug's proponents believe that we are slowly approaching that reality thanks to these constant innovations in drone and autonomous technologies.